This entry was posted on Tuesday, April 23rd, 2013 at 9:00 pm	and is filed under 3D Model, DIY, hacks. You can follow any responses to this entry through the RSS 2.0 feed. You can skip to the end and leave a response. Pinging is currently not allowed. Persons one day we will see the “vitamins” needed to make 3d printers could be reduced to magnets and coils. 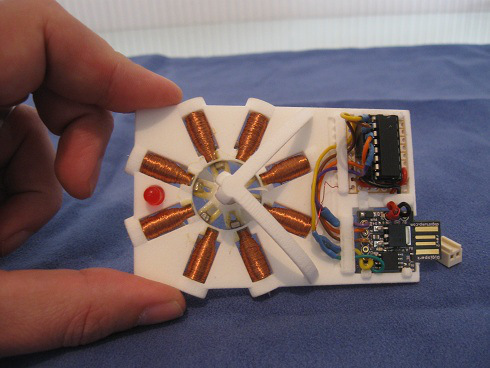 It is awesome to see 3d printed actuators like this. I have to say this is very nice work, but at the same time mention it is not an actuator. There is no output shaft. It is a pure formality however, very cool work! Do you possibly have the CAD design of this prototype available? I want to try to make this at my school for a project.